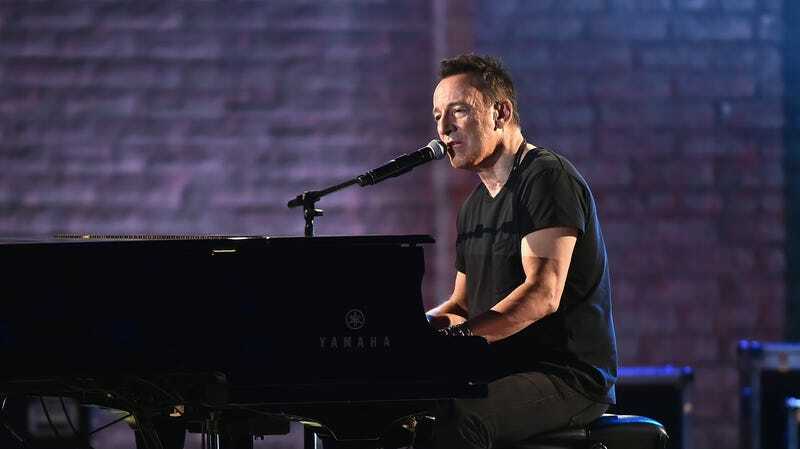 Since late last year, Bruce Springsteen has been bringing his workin’ man tunes to the bright lights of Broadway with a run of perpetually sold-out solo shows at the Walter Kerr Theatre. At the end of this year, though, he’s going to pack up his guitar, bring the show to a close, and go back to working in a factory in some forgotten New Jersey town (or whatever he does when he’s not performing). Luckily, even if you’re not going to have a chance to pay a few hundred dollars to see Springsteen on Broadway in person, Netflix is going to be releasing a filmed version of the show on December 15—the night of the very last performance. And hey, if streaming the Broadway show isn’t good enough, you could always pay extra to get the “Ultra” tier’s HDR video option. Let&apos;s all chip in and bid on handwritten lyrics to Bruce Springsteen&apos;s "Born To Run"